If you've been wondering why so many tech companies are producing smart speakers, just take a look at this stat; according to NPR and Edison Research's Smart Audio Report, only 18% of Americans 18 and older own a smart speaker. That works out to 43 million smart speaker owners in the U.S., and gives manufacturers a large number of potential buyers to aim for. The report adds that smart speaker ownership is pretty balanced among age groups, but those 45-54 own a leading 24% of these devices in the states. Surprisingly, those 55 and older are next with 22%. Most smart speaker owners are jumping on the bandwagon as 74% of them have owned one for less than a year. NPR calls them "Early Mainstream" owners. The 26% who have owned their smart speaker for over a year are "First Adopters." Of the latter group, a third are 55 and older, which would seem to indicate that older consumers were first to see the potential in the product. As more features and capabilities are added to these devices, the more they are used. 48% of First Adopters and 54% of the Early Mainstream are using their smart speaker more now than when they first purchased the product. First Adopters now rely on smart speakers to be their number one device for listening to audio. For example, nearly 90% of both groups use their smart speaker to stream music. Other top activities include using the digital assistant to check the weather, answer a question, set an alarm or timer, and check the time. Only 35%-37% checked a sports score and 30%-37% used the assistant to turn on or off smart appliances. 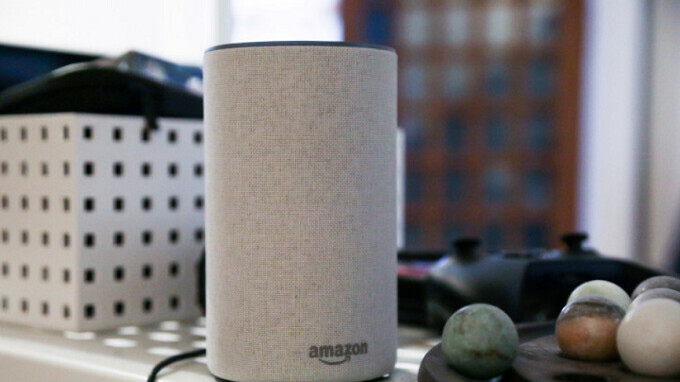 While you might think that most smart speaker users employ the device as a smartphone replacement, most consider it a substitute for an AM/FM radio. Smartphones were second on the list with a computer third and a tablet fourth. “Only” that’s still ~40m smart speakers which is a huge amount. Plus the fact that these smart speakers allow you to use existing speakers via Bluetooth or Chromecast audio. So you can just spend $25-$50 for the inexpensive smart speakers, and still get great audio at a fraction of the cost of some others. Most of them are waiting for Samsung BIXBY smart speaker.... the number will drastically increase one's it is in market. Not necessary.... keep life simple. So your phone is off at home? No, but I also don't have it on or near me the entire time I am home. I know it is hypocritical of me, but still lol. 18% is actually alot of people. A Smart speaker is not an important, necessary purchase. It's at the Smartwatch level of importance. Some folk will use it, but no one needs it. Personally, talking to Google Assistant is something I do daily. It's easier to get things done that way than pecking at Calendar or Spotify sometimes . Do not want to own a Spy_In_The_House!